The monthly house payment that you make offers many opportunities for income tax savings according to our expert Minneapolis gay realtor ~ it could be property taxes, mortgage interest, mortgage insurance, closing costs and more! 1. Mortgage interest can be deductible only if you itemize it on a Schedule A. To be deductible, any loan must be secured by a primary residence or a second home. (You can deduct other items and interest for rental property within the Schedule E.) The loan can be a first mortgage, a home equity loan, a home improvement loan or a home equity line of credit. Your deduction however is limited to interest on the first 1 million USD ($500,000 for married-separate filers) of money on a loan to build, buy or renovate your house. 2. Property taxes are usually deductible for primary and second homes, this is only if you itemize ~ if the tax is owed and paid, it makes it deductible. 3. 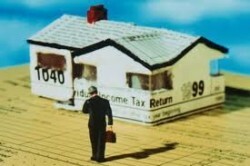 Mortgage insurance, whether it’s called MIP (mortgage insurance premium), PMI (private mortgage insurance), a funding fee (for VA or USDA mortgages), or MI (mortgage insurance), it is deductible; though, you must itemize your adjusted gross income (AGI) and deductions shouldn’t exceed $100,000.00 (half that for married-filing-separately) in order to make a full claim of your deduction. Points, which come in two forms; They could be prepaid interest known as discount points or origination charges also known as loan fees. After purchasing a home, the origination charges are deductible fully within the same year that you make payments, over the term of your loan; discount points are pro-rated. If you refinance a home, the entire points must be pro-rated; nevertheless, if there are un-deducted points still from an old loan, you are able to deduct them all entirely in the year that you repay. There are numerous chances out there for homeowners to minimize their taxation burdens and you too should take advantage of them while you can. The information provided is not legal or tax advice ~ please check with your CPA or tax attorney to verify the tips provided above will apply to your personal situation. 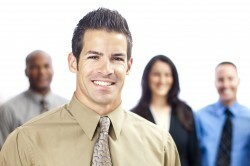 GayRealEstate.com ~ Offering Free Instant Access to the Nation’s Top Gay, Lesbian and Gay Friendly Realtors Coast to Coast. Free Buyers Representation ~ Free Relocation Kit to any City, USA ~ Free Sellers Market Analysis for home sellers. Oceanside is a very LGBT-friendly coastal city on California’s south side in the county of San Diego. It is part of a tri-city area adjunct to Carlsbad on the south and Vista on the north. It is a large beachside community of 183,095 that has been growing in size inland for years. However, it is mainly known for its large surfing community and also for being home to the California Surf Museum. It is also the starting point for the Race Across America, which is a televised 3000-mile bicycle race across the nation. This is a city for beach babies and those who love Spanish mission style architecture. One of the main attractions is the Oceanside Pier that was built in 1888 and boasts the Junior Seau Pier Amphitheater. It is also famous for having an old style fifties eatery called Ruby’s Diner at the end. The pier is a popular fishing spot and often there are people surfing on both the north and south sides of the pier. It is also home to the Mission San Luis Rey de Francia, a former Spanish mission founded in 1797. Many of the homes in this area (both old and new) mimic the signature bright white and pink clay look of the mission. Oceanside is very much known for its progressive attitudes and many eclectic spiritual organizations. It is the site of Mount Ecclesia, which is the international headquarters of the Rosicrucian Fellowship that was founded in 1911. There are many spectacular neighborhoods to live in and all are accepting of LGBTQ lifestyles according to our Oceanside Gay Realtor. A traditionally artsy area right downtown is known as the San Luis Rey neighborhood and located all along this strip are new businesses, hotels, restaurants and luxury condominiums. There is also a new development off of the main drag called Oceanside Terraces. It is still quite reasonably priced to live here as the average listing price of a home, as of October 2013 is $285,873.00. If you are a young professional you might enjoy living in East Side Capistrano. It is sometimes called the “medical mile” because it is near the hospital. There are many smaller condos with views of beautiful Capistrano Park. This is a very pet friendly area to live in and also quite affordable with average listing prices weighing in this Fall at $299,900.00. One of the most modern new neighborhoods in Oceanside is Townsite, which is a trendy new development with a boardwalk, many cafes and easy access to the beach. It is also famous for its annual zombie parade. The youthful, contemporary lifestyle is expensive though with the average listing price of a home here going for $810,859.00. For more information about other neighborhoods such as Lake, Peacock, Ocean Hills, North Valley, Gaugjome and Oceana be sure to consult with an Oceanside gay realtor for advice. You can also find out more about Oceanside attractions in general by going to www.oceansidechamber.com. Hollywood is a city in Broward County Florida with a gorgeous public beachfront that runs along the southern and eastern lower blade of the Florida peninsula for nearly six miles. It has a population of 140,768 but the number of people in the city expands exponentially in the winter as thousands of snowbirds make their way south from Canada and other colder climates. Many foreigners own condos, cottages and time-shares here in this resort-like place that is bounded by Fort Lauderdale to the north, Pembroke Pines to the west, Pembroke Park to the south and the Atlantic Ocean on the east. The economy is mostly supported by the hotel and restaurant industry. Hollywood is a bit of a playground for the rich and famous and it has many wonderful seaside cafes and gourmet restaurants. For those who live in the city, there is a Hollywood Trolley that takes residents and tourists from downtown to the beach area. The beach also has a very nice long boardwalk that has been enchanting those who love to take a morning run, or stroll and watch the sunset since the 1920s. The downtown is very urbane and sophisticated with its own Art and Culture Center, many exotic restaurants and scores of unique boutiques, art galleries, hip nightclubs and cultural hot spots. A nickname for Hollywood is the “Diamond of the Gold Coast” because its beach with its glittering bright blue water is known to be one of the cleanest in Florida. It is also home to the reservation of the Seminole Tribe of Florida and the Anne Kolb Nature Center, which make it a perfect place to have many eco-adventures. Fishing, both fly and deep-sea fishing is also a very popular past-time here. Hollywood itself is not so much a gay center, but extremely gay friendly and if you live here you will only be a ten minute drive or water taxi to “gay mecca” Fort Lauderdale that is home to the area’s nightlife. Our Hollywood Gay Realtor tells us it is so hot here in the summer that many of the homes have pools attached to them. Many mimic the tropical oasis style of home that you would also find in other resort cities like Honolulu, Hawaii, Hollywood, California and South Beach, Florida. There are also many beachfront cottages along the oceanfront that have sand, palm trees and a fantastic ocean view for a front yard. The more crowded by apartment buildings, beach condos and hotels the less expensive the homes tend to be. Older cottages tend to be painted in oceanic shades of green and blue. Hollywood Florida is becoming quite the sought-after place to live. This fall housing prices have risen 14.6% compared to the fall of 2012. There are many short-sales to be had in this area as there are 3,876 homes in the stages of foreclosure. The average lisitng price for homes for sale in Hollywood, Florida was $408,358.00 for the week ending October 9th, 2013. 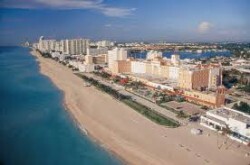 For more information about Hollywood, Florida you can check out the city’s official website at www.hollywoodfl.org. New Jersey City is part of the New York Greater Metropolitan Area. Residents have a great view of lower Manhattan, as it is located between the Hudson River and Upper New York Bay and the Hackensack River and Newark Bay. The city is a hip hangout full of artists and immigrants. It is also crucial distribution center with sea and rail connections for the Port of New York and New Jersey. To live here, you have to love crowds! It is a densely populated residential area with 247,597 people living in just 14 square miles of land. It is sometimes called New York City’s Sixth Borough. Downtown Jersey City is also known for having one of the highest concentrations of male couples in New York. Chelsea is the first with a median price of $1166 per square foot, followed by Clinton at $1166, and the village at $1210. Living in Jersey City looks very attractive when you compare the house price per square foot there at $452.00. Jersey City recovered from an urban decline in the early eights thanks to the development of the Exchange Place financial district that is now known as “Wall Street West” and that is home to Goldman Sachs, Chase Bank, Citibank and Merrill Lynch. Jersey City is defined by the boundaries of the postal code 07302. Jersey City is a sophisticated, urban place that is accepting of LGBT lifestyles and also people from all walks of life according to our Jersey City gay realtor. The Atlantic Magazine called it the 10th most artistic city in the United States in 2011. It is one of the most racially diverse populations in the world and residents enjoy the ethnic food and interesting festivals put on by the Pakistanis, Guyanese, Nigerians, Chinese, Polish, Italians, Irish and Haitian people that live there. Jersey City has a thriving LGBT community and many of the hangouts are located in the area bounded by Route 178 and Washington Avenue. These hangouts include Pint, the Star Bar and the 9th & Coles Tavern. Almost all of New York is very LGBTQ friendly but it is still a good idea to consult with a gay Jersey City realtor to find the situation that is best for you. In terms of real estate, there is opportunity to be had just simply because Jersey City is surely and steadily recovering from Hurricane Sandy that in 2012 caused losses of up to $30 billion for the entire New Jersey. The good news is that this has facilitated a lot of renovation and rehabilitation of the homes and streets that were damaged by the hurricane. This summer from June to August 2013 a home in Jersey City had an average listing price of $1,136,856 and an average sales price of $880,040.00. For more information about Jersey City and all of its attraction go to www.destinationjerseycity.com. We asked a couple of gay real estate professionals from different areas to give us tips on how to buy a home from acquisition to a satisfactory move-in. A lot of advice was offered to us and we decided to provide the best tips relevant to our readers. A great agent is essential in the process of acquiring a home. You need check out sites like GayRealEstate.com to find a top gay realtor and also carry out interviews of a couple to establish the right candidate for the job. Once you identify the right person, ensure they are willing and able to communicate to you in the way that you want be it email, text or anything else. According to Denver Gay Realtor Merlin Parker, having a preapproval letter or lack of one for that matter may mean getting or missing on a perfect home ownership opportunity. Being approved for a loan makes you more confident and realistic about prices and also keeps you one step ahead of other home buyers. Avoid looking at too many homes. Looking at too many homes will only make you overwhelmed and leave you confused ~ yes, you should see every home in your price range that fit in your parameters of size, location, construction, etc., but don’t make yourself crazy by trying to see every home on the market, in any location, etc. Make a list of the things you consider must-haves and those you consider luxuries. Narrow the search down by “commute time to work”, recreational outlets, church and other items of importance. Many buyers set out looking for “the perfect house” only to realize that the features they desire in a house are only found in a very old mid-century ranch, not the brand new construction specified. It is important to stay open minded and open to suggestions from your agent, who may have a better idea of what would work for you and your desires. After you find a home, learn the neighborhood. According to gay realtor Jeff Hammerberg, it is important to go back to the streets where you have found a potential candidate at different times of the day to get a feel for the vibe of the neighborhood. Since a significant part of your life in that neighborhood will revolve around the neighborhood itself, and amenities offered ~ it’s great to be clear about your new neighborhood. Walking trails, library, shopping, neighborhood activities/newsletter? It is imperative to get the home you intend to buy inspected by certified inspectors. A home inspector can look at everything top to bottom ~ if you have additional concerns hire an expert in “structural / electrical / roof / furnace / ac / mold / insects”. Never rely on the aesthetics alone. Speak up if you don’t understand something. If you do not understand any part of the home buying/inspection process and paperwork, you should feel free to ask. In as much as the agent will have handled the whole process for you (and with you) you should avoid signing documents that you do not understand, as they may come back to haunt you. In cases where the market is doing really well, a lot of the properties listed for sale will receive multiple offers. Give a realistic offer supported by comparable sales ~ your agent will provide and review this data with you prior to submitting an offer. In this market, a winning bid may have to be tailored to fit the seller’s needs. You should not lose a house you like over something trivial like appliances, a light fixture, or an extended or expedited closing. It is the big things such as the neighborhood, size and layout that matter when you want a house. Irrespective of how attracted you are to a house, you should not be pushed beyond your budget. Do not push yourself beyond reasonable limits, and ensure you work with people you are comfortable with. Also make sure you have a backup house that you like as this may reduce the excitement and the tension associated with getting a home. Author Jeff Hammerberg is a gay realtor and Founding CEO of GayRealEstate.com ~ Offering Free Instant Access to the Nation’s Top Gay, Lesbian and Gay Friendly Realtors Coast to Coast. Free Buyers Representation ~ Free Relocation Kit to any City, USA ~ Free Sellers Market Analysis for home sellers. Durham is located in the Piedmont region of North Carolina and is built up along the banks of the Eno River. In 1702, explorer John Lawson nicknamed Durham the “flower of the Carolinas” because it was so pretty. This a flatter area of the Carolinas with some pretty but low rolling hills that has a population of 233,252. It is a progressive academic town that is home to Duke University, North Carolina Central University and Research Triangle Park that is very LGBT-friendly. Although Durham is a city in North Carolina it is very much steeped in the cultural traditions of the south. This city was once a conglomerate of cotton and tobacco plantations and today there are many museums and monuments devoted to the rituals, music and dance of the African American people who worked in the slave trade. In the twentieth century it was known as the center of the mustard and tobacco industries as it was home to Durham mustard the Bull Durham Tobacco factory. Many of the historic buildings that were once part of these industries are now part of university campuses or have been converted to housing or commercial use. In fact one of the astounding things about Durham is how intact much of its architecture, from the 1890s through 1930 is still intact. There has been a lot of commercial and housing development in Durham for the past twenty years but in particular in the areas along the Interstate 40. The downtown corridor along West Main Street has been gentrified and renovated to include many bars, entertainment venues, art studios and condos. Another great place to live is near the former tobacco warehouse in the Bright Leaf Historic District that consists of many new hotels, apartment complexes and condo developments. To find out the best place for your situation and budget, it is a good idea to consult with a Durham gay real estate agent. As this is a university town there is plenty to see and do and it is known for its LGBT tolerance. It is home to the ten day long North Carolina Gay and Lesbian Festival and the North Carolina Gay Pride Parade. There is no designated “gayborhood” according to our Durham gay realtor, but this is mostly because the gay community is fully integrated into the rest of the population. There are many churches that welcome LGBT individuals and couples and in fact, Durham is home to the first openly lesbian woman to be ordained as a Presbyterian Minister in a Presbyterian Church in the USA. There is also an inviting nightlife in Durham with bars and clubs like The Pinhook, Whiskey, Alley 26 and the Full stream Brewery. The area is also known for its Indie Rock scene. Durham also has huge a visual arts presence with dozens of galleries and museums and the largest public art complex in North America. Every third Friday there is an art walk event in Durham that features many special gatherings and art events. Downtown is also home to the Carolina Theatre, which is a historic facility that has recently undergone a multi-million dollar renovation. For more information about this fabulous place to live, go to www.durham-nc.com. If you’re relocating, or even just buying a new home then you must know it involves moving. If you are among the well off who can spend a fortune to have things done for them, then shun from reading this immediately. Well, for the remaining lot who find moving to a new place a dreadful must-do, you can benefit from the tips below; they will save you in a huge way. It is true that failing to plan means planning to fail. Moving is more than piling up your stuff in boxes and loading the truck. A checklist is important to help you remember all the intricate details of a move ~ like when and how to move man’s best friend, among other things. Go online and find free moving checklist, there are many you can choose from. Most of us recognize moving is not a fun experience. However, you don’t have to pack your things in a hurry, take your time and pack carefully, and intelligently. Our Palm Springs Gay Realtor claims it could take a week, so try to utilize this time frame to do things correctly. Don’t forget to follow some of the tips on how to protect your stuff when packing, from the electronics to dishware, to the underwear drawer. Don’t trust just any stranger to take care for some of your most valuable possessions! This is a field where many scammers have chipped into making away with your stuff or could demand more money (ransom) from you, just to get them delivered. Check with the better business bureau, demand to verify the movers “moving insurance” is intact, check out the on-line reviews at places like yelp.com, and NEVER pay the movers anything in advance for your move… they get paid when the move is 100% complete! There are some things you need to keep in your procession instead of the moving truck. Such things include birth certificates / passports / small home safes, etc. Have you ever misplaced your purse or briefcase with all of your important cards and papers? Make sure that these things are in your procession all the time ~ confirming a couple of times that you have them will save you a lot of headaches. Ignorance has no excuse. We see people moving into new houses in Palm Springs and never bother to change/rekey the locks. Who knows, maybe the previous owners had given out the keys to other relatives or 3rd parties and chances are that your neighbors could be aware of where the spare key is hidden. Sleep safe and change locks before you move in with your stuff. Doing things on your own when it comes to organization, packing, moving, etc. occasionally seems like a good idea. However, don’t make too many assumptions in the name of saving money. Things like the size of the truck, insurance, amount of fuel, packing boxes pads and equipment (dollies, etc. ), not to mention who are you going to trick into helping you? If you’d like to save money and move on your own; pack your stuff and hire a moving company just to do the transportation. They are true professions and will safely take everything to its destination. The tips above will help make your moving process fun and of course safe. Have fun along the moving process. Virginia Beach is a city and a beach that borders the southeastern coastline of Virgina. In fact it is one of the most populous stretches of sand in the United States with a population of 447,489. This area boasts beautiful examples of historic housing as it was one of the first areas, along with Hampton, Newport News, Norfolk, Chesapeake, Portsmouth and Suffolk to be settled in the entire USA. Of all of these cities, Virginia is the one that has the most resort-like feel. Hundreds of hotels, motels and restaurants line the oceanfront in Virginia Beach. Long ago, it was settled in 1691 and it had humble beginnings in 1888 as a resort for those who worked at the shipyards in nearby Norfolk. All of Virginia Beach is quite gay friendly but there is no dedicated “gayborhood” so it is a good idea to consult with a Virginia Beach gay realtor to find the neighborhood that is best for your situation. This is not a very “out” city in some ways. However there are a smattering of gay bars in Virginia Beach including the Rainbow Cactus and Ambush. Nearer inland on the way to Norfolk there is also The Garage and Hershey’s lounge. There are many amazing neighborhoods in Virginia Beach. A community that is right on Linkhorn Bay and yet very near the downtown is Bay Colony. The homes here are huge with massive lawns, and the beach is just a bike ride away. You pay millions for a home here even if it is not right on the ocean but the area is very signature of the elegant Virginia Beach lifestyle. A little less expensive is the neighborhood of Alnonton, which is a combination of mansions and fixer-uppers. The neighborhood is full of huge mature trees with a beach and a boat ramp nearby. There are also many parks in the area, which is governed by a strong sense of community. If golfing and yachting is your thing, then Birdneck Point is just one of many waterfront communities where homes are worth a million dollars. Your Virginia Beach Gay Realtor will be able to tell you where these sorts of resort areas for the wealthy are located. Keep in mind that homes in Virgina are expensive here simply because it is so historical and a lot of retired military personnel live here. One of the less touristy but very lovely areas to live in is Shadowlawn, which offers some privacy from tourism because scenic Lake Holly separates residents from the main Virginia Beach boardwalk. The homes here are smaller with sandy lots and direct ocean views and many of them have swimming pools in the back yard. St. Petersburg, often just called St. Pete or “The Burg”, is the fourth largest city in Florida and second largest in all of the Tampa Bay area. It has another nickname – Sunshine City; well deserved as it does have 365 days of sunshine. It is located on a peninsula between Tampa Bay and the Gulf of Mexico that is also connected to the resort town of Saint Pete Beach. Living in this area is like living in a gorgeous nature preserve all year round as it occupies the entire space of Long Key. It is also a prime retirement destination especially for Canadian “snowbirds” and it is also a very LGBT–friendly place to live according to our St. Petersburg gay realtor. From the southern tip of Long Key there are three bridges spanning the islands of Treasure Island, South Pasadena and the Bayway Isles area that leads to the location of St Petersburgh. A series of causeways and bridges also connect St. Petersburgh to mainland Florida. St. Peterburg is a very convenient place to live as you have access to both the flora and fauna of the Keys and also access to the sophisticated restaurants, great shopping and thriving gay scene in Tampa, Fl. The gay heart of St. Petersburg is The Grand Central District, an urban village downtown that is home to many gay-owned businesses and the annual St. Petersburg Pride celebration that is held every June. This is a mixed-use neighborhood that has lovely new and older rehabbed condos, townhomes and artist lofts. Another gay area downtown, that is very close to the beach, is the Central Oak Park District. This quaint area has houses built on gently rolling hills from the 1920’s and 1940’s. Many of the streets here are laid with old bricks, which give the community an antique/historic feel. The Old Southeast is an area just south of downtown that dates back to the 1800s and the architecture from that era is still intact. There are many homes located right on the waterfront. A newer area of development is Historic Round Lake that is just north of downtown and features several older architectural styles from the turn of the century to mid-century, brick streets and very old mature oak trees. There are also many affordable bungalows from the 1920s with gorgeous hardwood floras and large front porches in the neighborhood of Historic Kenwood. This is a very caring and ethical neighborhood that has a strong community association and that also has many get together in nearby Seminole Park. 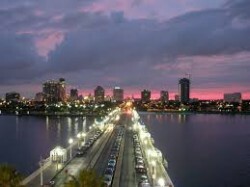 If you need more information about St. Petersburgh go to the Chamber of Commerce website at www.StPete.com, or if you’re considering a move, contact any of the St. Petersburg gay realtors at www.GayRealEstate.com for a free relocation kit and information. Typically the reason you need to hire a real estate agent would be to facilitate the quick sale of your home, sell at a better price and prevent any miss-steps. However, to ensure a smooth process then you need to find a competent, full-time real estate agent who can sell your property professionally. There are some things that you need to know before hiring anybody to sell your home. It is very important to find a local gay agent who understands your area in detail. Potential home buyers in most cases ask many questions related to shopping, schools, parks, libraries, taxes, fees and the like and any other life essentials in the area. A realtor who can answer them accurately and competently will help sell your home quicker than you imagined. Ask agents simple questions, such as the number of homes they have sold in the area and whether the area is where they reside and if so, how long have they been living in the area. Asking for references will help in determining how competent and professional your real estate agent is. It’s a good idea to talk to clients who recently used the services of the realtor you’re considering hiring. If the agent backdates their reference 1 year or so, then there must be something fishy going on, so watch out! Find a realtor who can focus on what you want and dedicate time for it. Never forget to ask the number of clients (home listings) they have at the moment, and estimate the hourly period they spend marketing each property. Do they have systems and procedures in place? Have they provided you a step by step list of marketing activities they will provide, with dates attached? 4. What are their Time lines? Nowadays, we’re coming into fall (a slower period to sell homes) and some markets are still clunking along, so you need to find a realtor who is actually selling 100% of the listings he/she takes. Simply inquire about the listing period that the real estate agent is going to sell your property, if you’re concerned they will abandon hope after two months after your house fails to sell, then you need to hold their feet to the fire ~ make the listing agreement for 90 days, with one 90 days extension, if you are fully satisfied with their work and communication. 6. Is Your Realtor Part of MLS? Agents who are listed with the Multiple List Service (MLS) which is a nationwide database of houses on the market, have a higher chance of selling your home, therefore such an agent is a must when selling a home. Not only is it important to support our community, it’s doubly important to ensure the agent you’ll be paying a huge commission to is not funding organizations that are in complete opposition to our LGBT Community! Using free services like GayRealEstate.com will ensure you’re hiring a full-time professional gay, lesbian or gay friendly realtor that stands in full support of you, your family and our community.